This monitor will become obsolete on the 31st of March. The GasAlert Extreme is available for oxygen depletion. Please note: this product will become obsolete on the 31st of March. Support will still be available. View the GasAlert Extreme for oxygen depletion from BW. 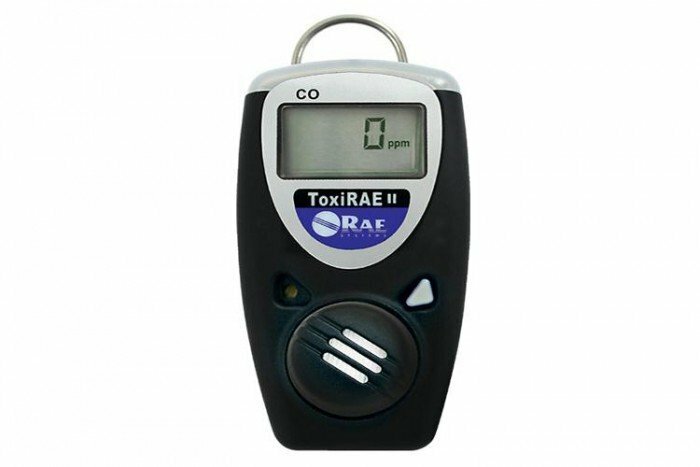 The ToxiRAE II is a single gas Oxygen detector from RAE Systems with multiple sensors available for various applications. It’s ideal for use in the oil and gas industry, chemical plants, fire service, industrial safety, pulp and paper and waste-water treatment plants, landfill operations, power plants and also steel mills. The ToxiRAE II O2 is a full-featured monitor and is compact and lightweight. It is also intrinsically safe. It comes with a corrosion-resistant, stainless-steel alligator clip which can be clipped onto a hardhat, shirt pocket, shoulder strap or belt. This ensures that O2 depletion detection can be carried out safely. Quite simply, for all the ToxiRAE II is small and lightweight, it isn’t a disposable gas detector. We’d say it’s priced like a disposable, but offers the benefits of a serviceable unit. It’s engineered so that you can easily and quickly replace the filter, battery and sensor, even when you’re in the field. That means the unit is always up and running, keeping you safe, but it’ll last for years.